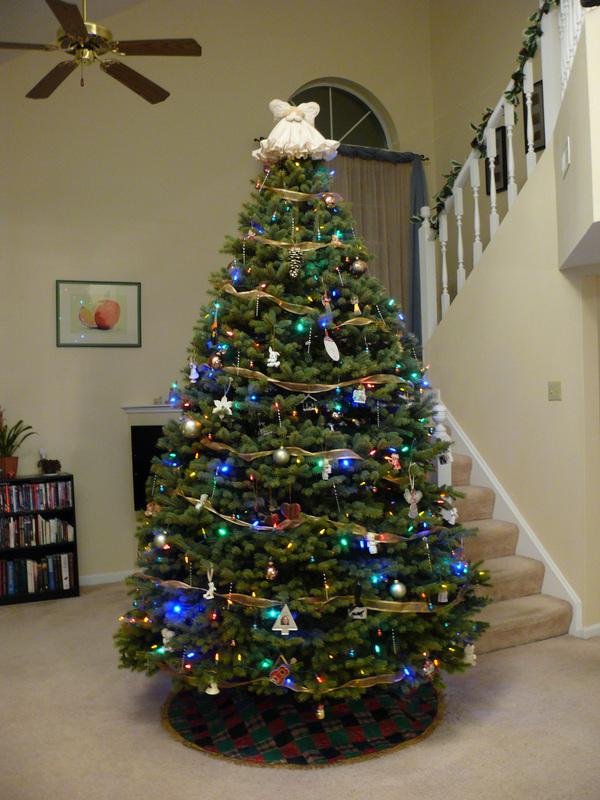 The first Christmas after we were married we got all done decorating the tree and discovered we didn’t have a topper. A quick run to the corner drug store fixed that with a $1 gold glitter snowflake/star/thing. It wasn’t amazing, but it worked. So many ruffles! So much gathering! All this took forever! I’m probably most proud of the wings. I didn’t like the quilting design on the original pattern so I created a design of my own. 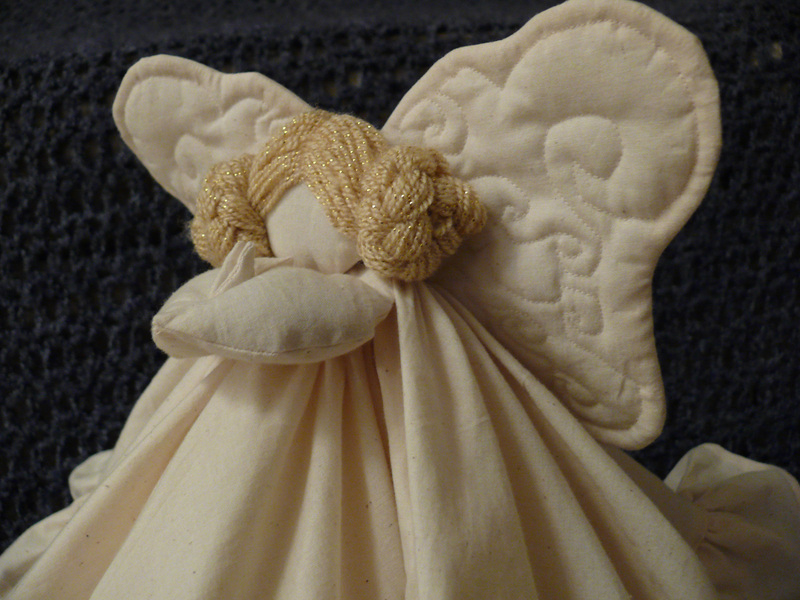 For inspiration I looked at quilting patterns online, Maori designs, and butterfly wings. From those, I drew a pattern (freehand!) for one wing and then just mirror imaged it for the other wing. 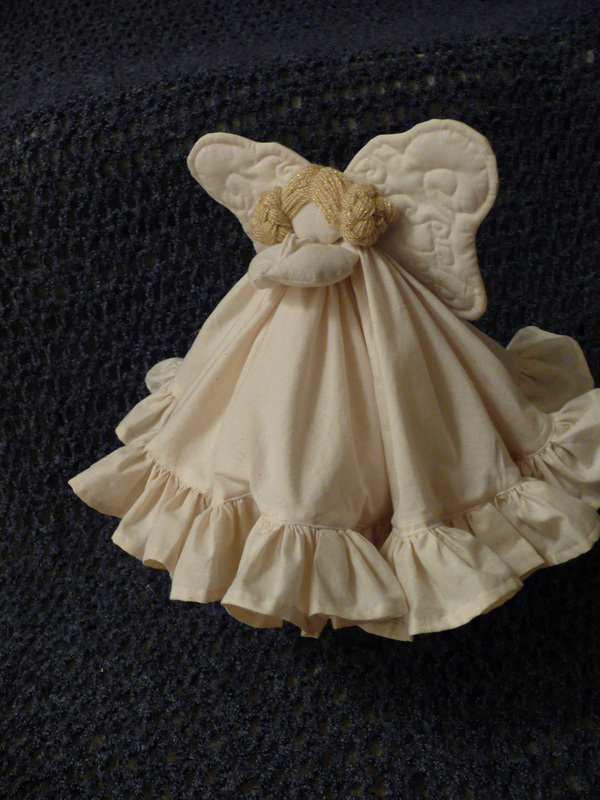 I decided not to sew a face on the angel because if faces go wrong, they look horrible, and at best they’re staring down at you from atop the tree, which is kinda creepy in my opinion. 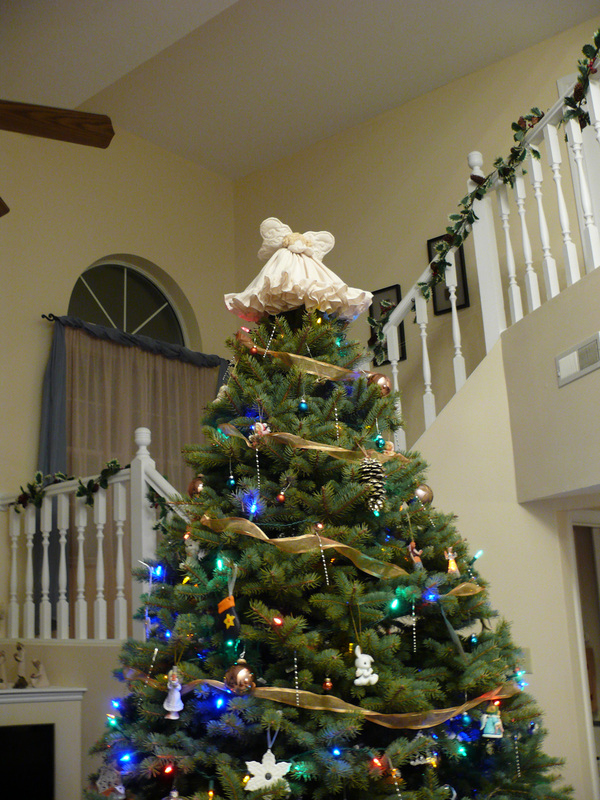 I think it looks pretty awesome on top of our Christmas tree! It’s definitely a huge improvement over our $1 tree topper.